A beautiful and unspoiled beach, the UNESCO World Heritage town of Hoi An, and 2 great golf courses designed by Colin Montgomerie (Montgomerie Links) and Greg Norman (Danang Golf Club) (maybe the 2 best in the entire country). Getting there involves connecting via a domestic flight from either Ho Chi Minh City or Hanoi (several flights daily), though once you are there everything is close with minimal traffic hassles like you encounter in the large cities. At this time the area is something of a ‘best kept secret’, though that will change dramatically over the next decade as numerous resorts are in various stages of planning and construction. While there is currently only 1 course in Dalat – Dalat Palace Golf Club – (more to come), it is the country’s oldest (first 9 holes built in the 1920s) and today still remains one of the best and most favored by golfers – an ‘old style’ parkland course playing over hills, around a lake and with rolling fairways lined by mature trees. Dalat sits 1500 meters (4900 feet) high atop the central mountains about a 1 hour flight from either HCM City or Hanoi. Called the ‘Eternal Spring’ city for its perfect year round temperatures and beautiful gardens, Dalat was the favored retreat of the French elite during colonial days and is where today’s young Vietnamese go for their honeymoon. 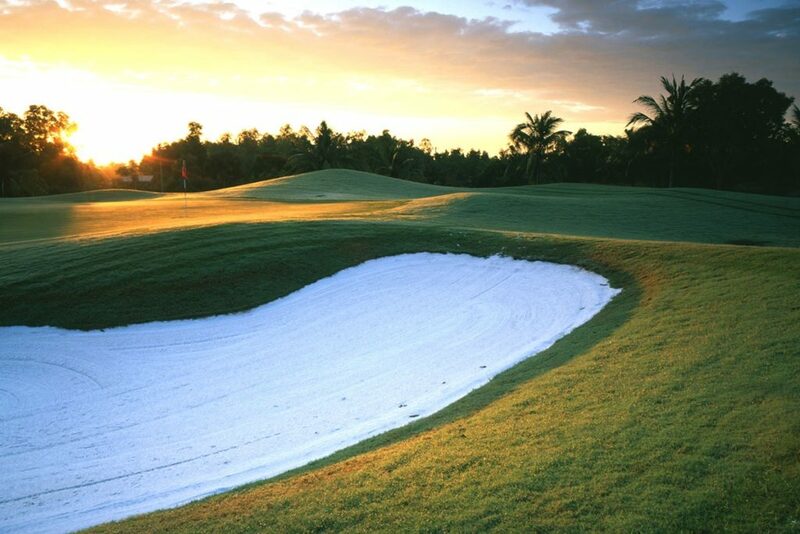 A quiet area that makes for a nice escape from the big cities and is a pleasant place for spend a few days golfing and relaxing. 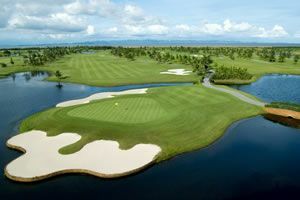 The capital city has direct flight connections with many Asian hubs and also has some very good golf courses (better than Ho Chi Minh City). Hanoi boasts several parks and is often regarded as the cultural capital of the country. There are 3 good courses within 45 – 90 minutes drive of city hotels, plus another excellent 36 hole facility about 2 hours away. All are private member clubs though we are able to get access for visitors on weekdays. The country’s largest city and its business capital, HCM City is the primary international port with the most international flight connections. District 1 in the city center is where most foreigners stay as it has numerous restaurants, pubs, shops, parks, etc within walking distance and more nightlife than other areas of Vietnam. There are 3 international standard golf clubs near HCM City open to visitors on weekdays, each with 27 or 36 holes, and all are about 60 – 80 minutes drive time from the District 1 hotels depending on traffic and time of day. Phan Thiet is Vietnam’s main fishing port and Mui Ne at popular beach destinations. 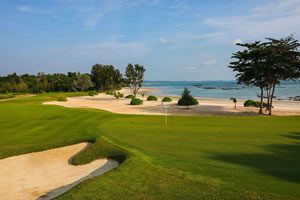 The area has 2 championship courses – Ocean Dunes Golf Club, a Nick Faldo design and a newer course – Sea Links Golf & Country Club – that has been called the most challenging seaside course in SE Asia. Getting there requires an overland ground transfer of approximately 4 hours from HCM City or about 3.5 hours from Dalat.